We're having technical difficulties with our telephone service today. Online booking still available. These lunchtime events in our intimate Studio space are exclusively available to MEMBERS and are an opportunity to hear from the actors featuring in our productions. Come along to hear about what goes into creating each production and performing in our unique theatre. Members also have the opportunity to ask their own questions! Anyone can become a Member for £48 a year and take pride supporting our unique theatre in the heart of Manchester.  By becoming a Member, your donation can help us to continue to make great theatre, support new writing, nurture new artistic talent and provide participation opportunities to as many people as possible. To say thank you, we’ll make sure you get the very best from your visits to our theatre through a range of benefits that enhance your relationship with us. Tickets are £5 each and available to Members.